Yesterday afternoon I started feeling sick. Today I have a terrible head cold. I feel super crappy and I have been sitting here doped up on cold medicine all day. I was having a hard time coming up with a happy thing today because I haven't done much today and wasn't feeling all that happy, and then Shawn called on his way home from work and said he was bringing me chicken noodle soup. 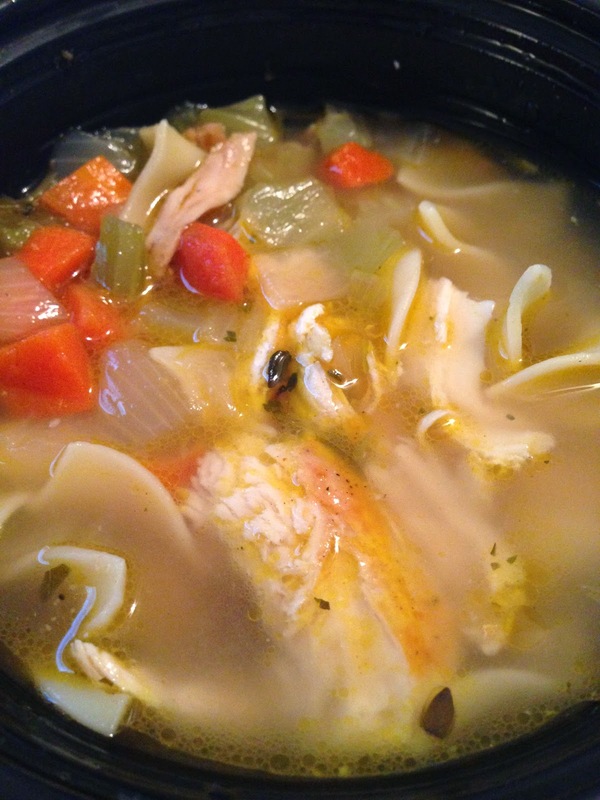 I don't know what it is about chicken noodle soup when I'm sick, but it tastes better than anything in the world. It was exactly what I needed. So today my thoughtful husband and a big bowl of chicken noodle soup made me happy.